Purple Power Industrial Cleaner is a Clean-Rite Brand Product. 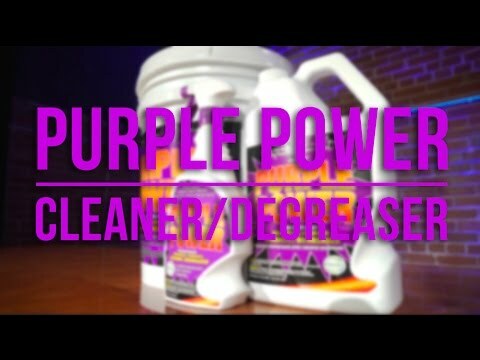 Purple Power Industrial Strength Cleaner is by far our strongest cleaner/degreaser at the most economic prices. This is a concentrated aqueous cleaner that can be blended with water at any particular dilution ratio to handle the most delicate to the harshest cleaning task.